There are a variety of types of AC repairs you could end up needing, during your time as a homeowner. Wise homeowners make the smart decision to find a reliable air conditioning company before they even need one, and their research leads them to our team here at Bowen Cooling. We take care of both residential and commercial clients in Fort Myers and surrounding areas. We are not just industry experts, we are a family-owned company that provides personalized care for each of our customers. We don't just offer repairs as a local air conditioning company, we try to help you avoid needing those repairs in the first place. 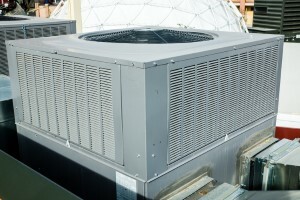 Did you know that a high rate of emergency AC service calls each year are a result of forgetting to change the filter? This is one of the only tasks a homeowner can do themselves, and it is a cheap and easy chore. A dirty filter ends up causing the airflow to be restricted and eventually, blocked completely. Too many homeowners wait until a suspected repair gets worse before calling in a specialist. This approach can result in making the repair needs much more severe. In some case, it may even lead to the need to require replacement, long before it should be time. Savvy homeowners also sign up for regular service so a professional can take care of issues as they arise, or even before they do. Our Maintenance Agreements help tremendously with this. We are here to help you when you have air conditioning repair needs, but we also want to be able to help you avoid them in the first place!